OK after 1 month using this trainer im getting this issue. while i was doing a workout suddenly power drops to 0 and never came back. seems like it does pair up fine. 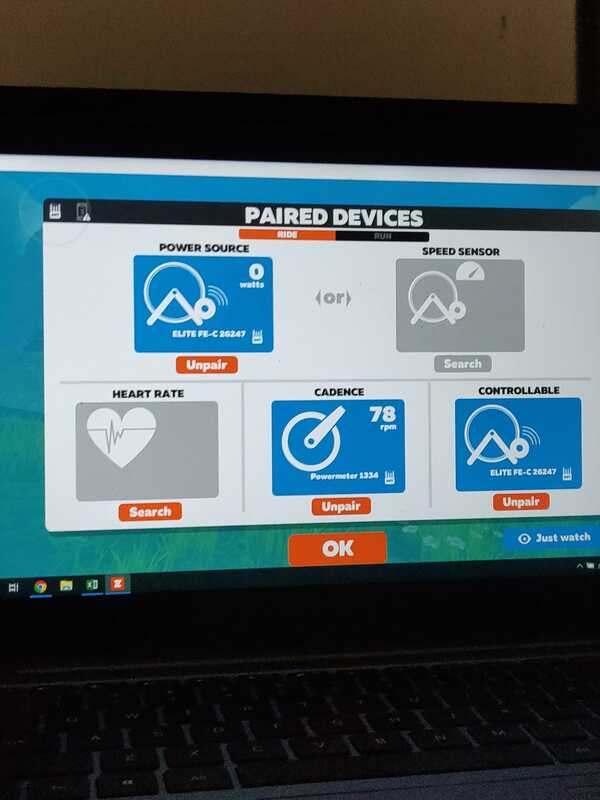 Ive tested with myetraining app and same thing, no power recorded. What can i do with this. It seems a disconnection problem. It may be due to interference. Please try in this way: use a usb extension cable to put the ant dongle closer to the trainer. Let me know if the situation improves. I've tested with an extension cable and placing the ant dongle directly on top of the trainer. Still no power. You said that during the trainer power suddenly goes to 0 (so, it's not always 0). Can you confirm me that this happen in both Zwift and my e-training? Can you tell me what happen to speed when power goes to 0 in my e-training? Does it freeze or still works? Also, please do this test. Unpair the external cadence sensor you're using and tell me if the issue is still there. Exact same problem here. It's stuck on 0 W. Did you find a solution or is the unit broken?